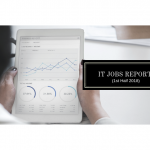 With the proliferation of technology and the expanding reach of the Internet, organizations are now able to further streamline their operations and remain competitive by moving low-skill jobs offshore and hiring highly skilled talent across borders. As a result, decentralized workplaces are becoming more prevalent in today’s business world and organizations are becoming more flexible by giving employees the options to work outside of formal workspaces. The case for decentralized working in emerging African economies like Nigeria is compelling. With a highly educated talent pool, increasing penetration of mobile phones but poor road and transport network, decentralized working has the potential to greatly increase the country’s productivity metrics. Globally, there has been an increasing shift towards the decentralized workplace due to a number of factors. The Gig economy: a labor market characterized by the prevalence of short-term contracts or freelance work has been instrumental in changing the nature of work. In a 2018 trend report, researchers at Deloitte estimate 77 million people within Europe, India, and the United States formally identify themselves as freelancers. In the US alone, 3.7 million Americans were working on-demand in 2016; an updated forecast from Intuit and Emergent Research suggests that this number will surge to 9.2 million in 2021. And research by Kelly Outsourcing & Consulting Group suggests that the gig economy is also booming in the Asia Pacific region, where 84% of hiring managers say they employ gig workers. Another factor contributing to the global shift to flexible working arrangement is the increasing competition to attract and retain great talent. More startups are providing flexible work arrangements to better attract top talent, increase employee job satisfaction and retention rates. 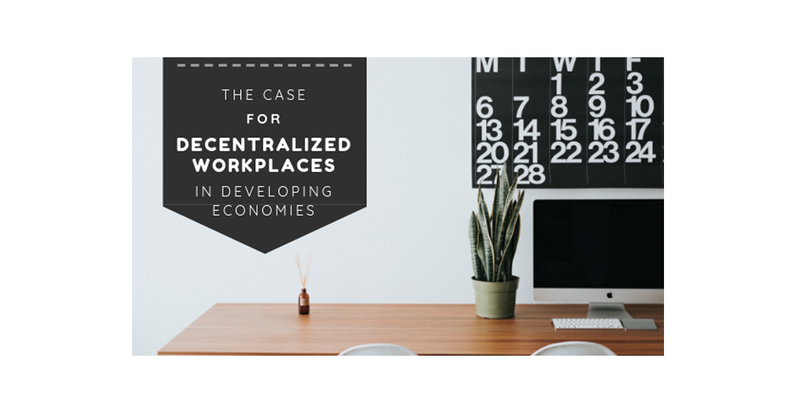 In this report, we present a case for the decentralized workplace in Nigeria, and then we delve into how organizations can effectively manage decentralized workplace and finally explore how employees can get the best out of decentralized workplace arrangements. The purpose of this Whitepaper is to adequately inform and prepare the audience for a future that we believe is inevitable. 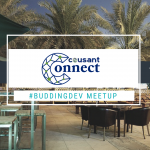 The continue push for more flexible work arrangements means that the workplace as we know it will change and employers and employees in emerging economies must be equipped with the right knowledge to stay relevant in this future. 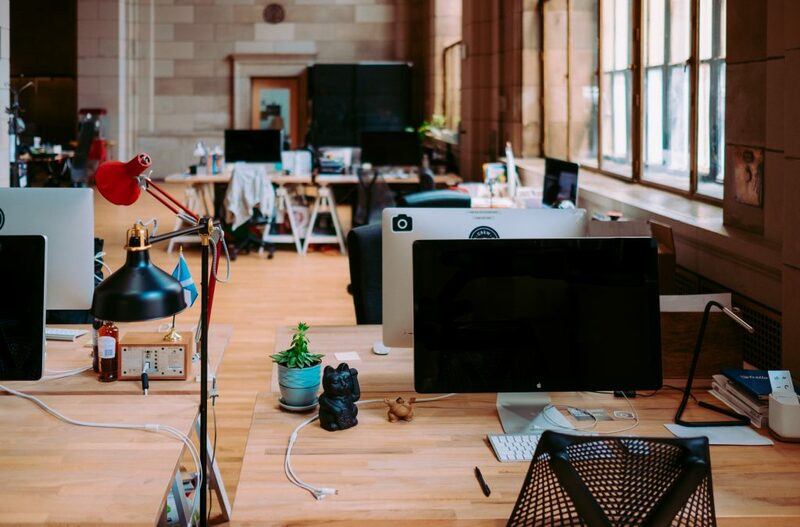 The workplace used to be about everyone being in the same office, able to meet at just about any time but the future of the workplace is changing dramatically. As companies continue to streamline their operations, low-skill jobs are increasingly going offshore, to robots, or being outsourced in some way. Furthermore, infrastructure — including the cost of laptops, etc. — is getting cheaper. Co-working spaces and incubators are springing up in major cities. The working preferences of the millennial generation are also changing. They are not content with 9-to-5 jobs anymore. There are more and more solo practitioners that identify as freelancers and are able to make a good living with on-demand work. A workplace that includes both on and off balance sheet talent. Essentially a workplace with a combination of full time and freelance employees. A workplace that adopts virtual hands in the form of automation and artificial intelligence to perform tasks that would otherwise have been done by humans. A workplace that implements less traditional work environments like hot-desking, remote working and use of co-working spaces. An agile team environment where decisions are based on real time factors as opposed to going through a rigid hierarchical structure.